You won't want to miss the 34th Annual Arts and Music Festival, ranked as the 24th Best Art Festival in 2017 By Sunshine Artists and consistently rated in the top 50. 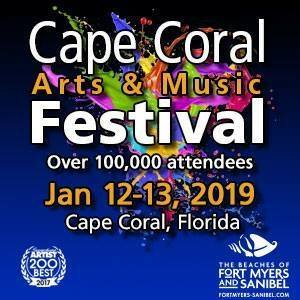 This two day festival is Lee County's largest special event of the year with over 100,000 attendees. Enjoy a day of local fine arts and live music as you walk the lively downtown streets.